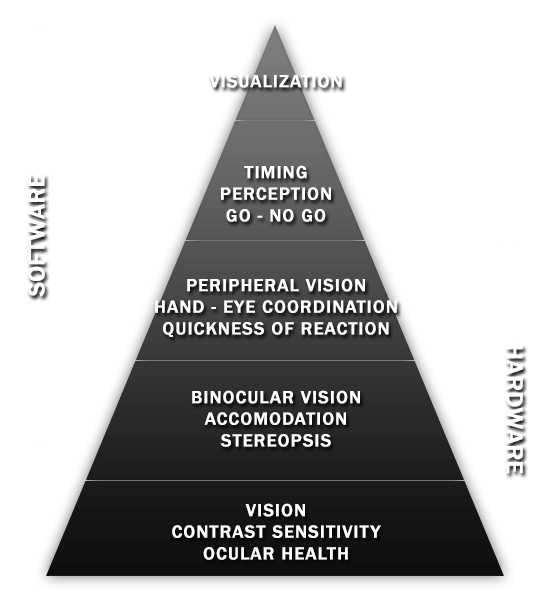 Video of Dr. Smithson talking about the Sports Vision Evaluation Pyramid. 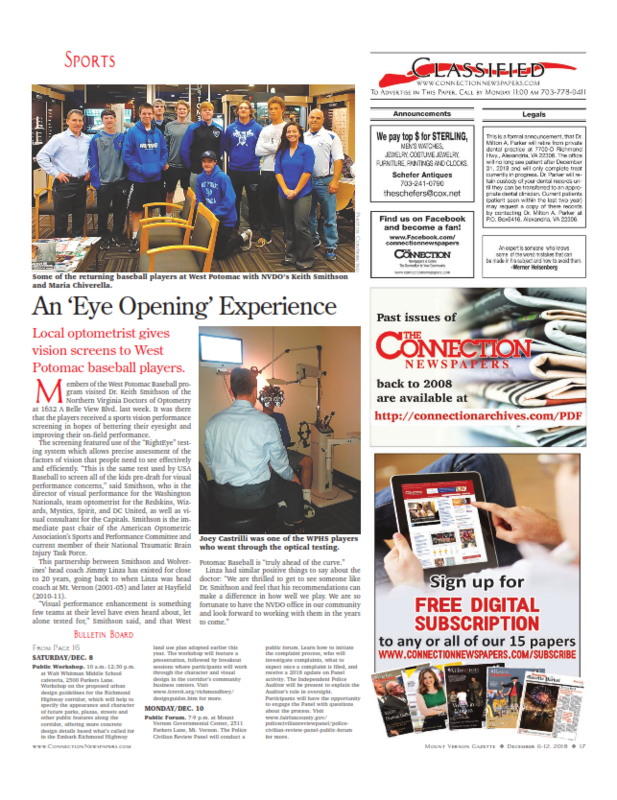 Learn how doctors of optometry can help prevent eye-related injuries from sports and recreation in this article that features our very own Dr. Smithson. Read this October 16, 2014 Washington Post article: Wizards’ Otto Porter seeing role more clearly in second season. It details the on-court glasses Otto Porter uses which was prescribed by Dr. Smithson. Click here to listen to an audio interview with Dr. Smithson by Sirius/XM Radio’s The Grill Room Golf Show. He speaks about improving one’s golf game through enhancing vision. Click here to read about Tyler Clippard-The Washington Post.